Capterra surveyed buyers and users of help desk software to learn what they're looking for and how they view their help desk solutions. Customer service isn't a cost, it's a valuable source of revenue for smart companies. According to Harvard Business School, a 5% higher retention rate translates to 25%-95% in additional profits. According to Kissmetrics, acquiring a new customer can cost seven times more than keeping an existing one. 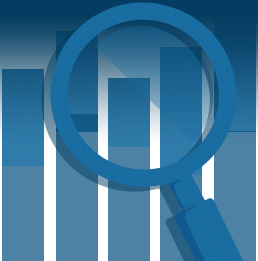 According to Kissmetrics, the average global value of a lost customer is $243. According to Kissmetrics, 71% of consumers have ended their relationship with a company due to poor customer service. According to Kissmetrics, 71% of consumers have ended their relationship with a company due to poor customer service. Finding and retaining skilled, motivated help desk agents is notoriously challenging. To get the most value out of your valuable agents, you've got to avoid frustrating or wasting their time. This is where help desk software comes in. You're an expert at customer service, not software. You don't buy it often, and have no reason to be intimately familiar with what's available. Capterra pioneered the business software connection industry 15 years ago. We are help desk software experts. We want to understand your needs, in order to connect you with the right software for your customer team. Which is why we surveyed buyers to get an integrated picture of just how people are finding, buying, and using help desk software. The results in this help desk software report provide valuable insights regardless of what side of the industry you fall on—buyer, agent, customer, or vendor. Software has a big impact on ticket resolution time, agent productivity and agent job satisfaction. 68% of buyers have customer service software with live chat functionality. But only 40% use it. 67% of the buyers who are unsatisfied with their current software cited a lack of certain features as the primary reason, above price and support. The majority of respondents (70%) demoed at least two options before picking one. On average, people spent about $1,200 more annually than they expected to on their help desk software. Most buyers are on their first customer service software, and have been using it for 2-5 years. Were you using a different customer service system before purchasing your current software? That most people are buying help desk software for the first time would indicate the marketing is growing for this software. How long have you been using your current customer service software? Most of the buyers who aren't on their first software switched for more features. By a wide margin users switched help desk solutions for functionality reasons, rather than price. 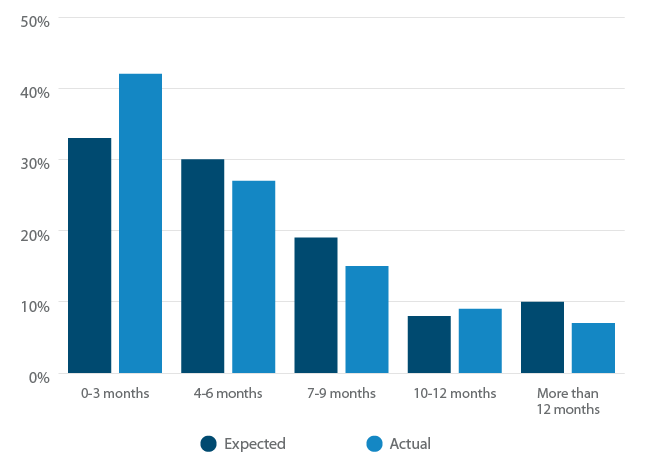 Help desk software buyers tended to be fairly conservative with their estimates for the time it would take to actually find a solution and, on average, ended up spending less time than they thought. Educated decision-making is the rule of the day for customer service software users, with fully 70% of them doing at least two demos before making a purchasing decision. This could speak to both how easy it is to demo help desk solutions (with many being web-based) and how educated the buyers are in the space. On average, people spent $1,200 more annually than they expected to on their help desk software.Tweet ThisOn average, people spent about $1,200 more annually than they expected to on their help desk software. 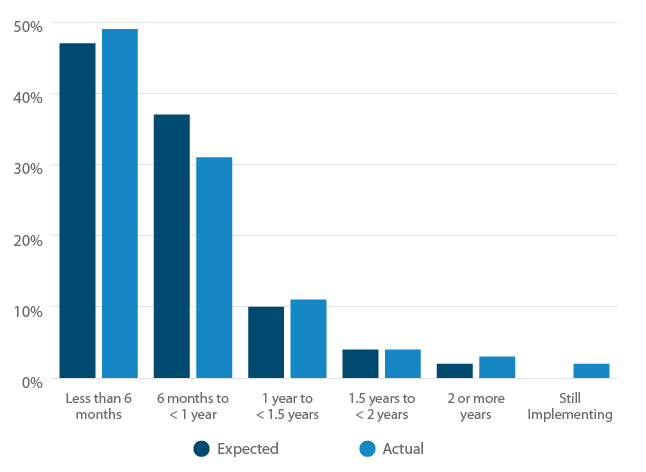 As with the time needed to find software that's a good fit, help desk buyers were remarkably sanguine when it came to predicting how long implementation time would take and most implementations (80%) took less than a year. Respondents to our help desk software survey tended to represent the overall national distribution well. Half of respondents work at companies which rake in less than $5 million annually. This is largely representative of the US economy. Businesses that bring in less than $5 million in revenue annually represent more than 99.7% of all employers and employ half of all private-sector workers. 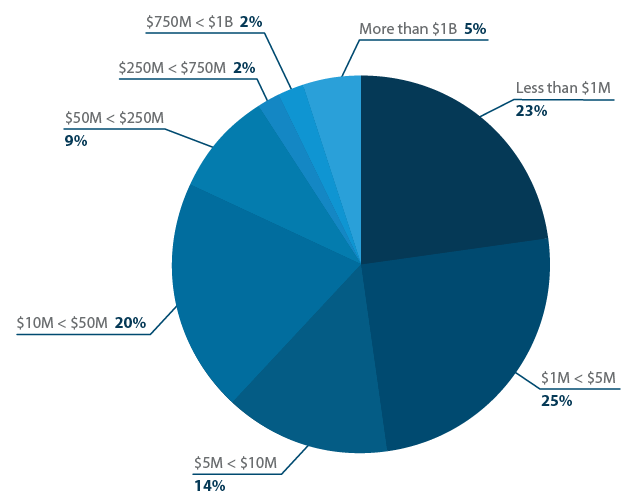 The $5-10 million revenue band makes up just 14% of respondents. Then 20% work at companies with revenues of $10-50 million. The remaining 18% are above $250 million. We asked buyers to check off everyone who requested support via their customer service software. Three quarters (77%) of buyers polled receive service requests from their fellow employees. 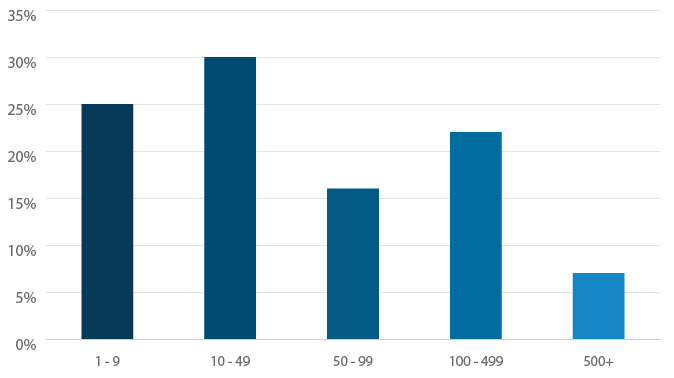 Nearly half (44%) get tickets from customers or clients of their company. Potential customers create tickets for 15% of buyers. 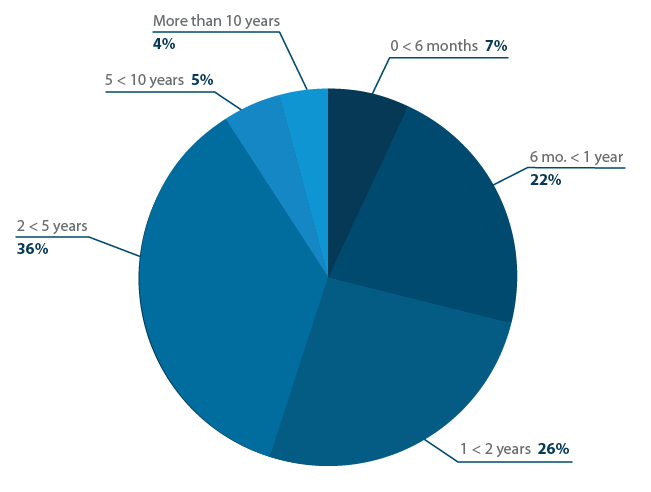 On average, how many full-time agents use your software? The average team using customer service software employs 89 agents. 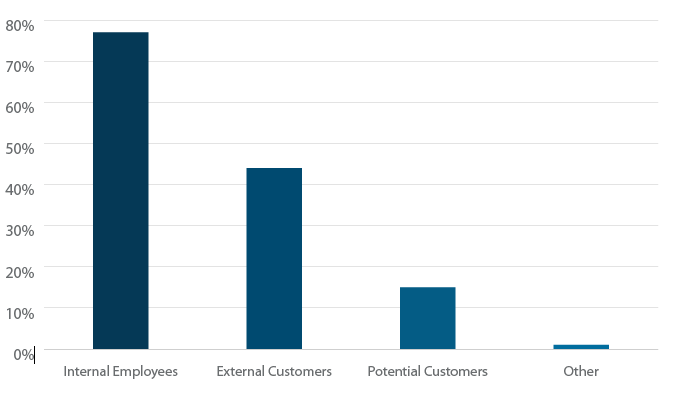 An agent who uses customer service software is more likely than the average employee to work in a medium-sized business, defined as having 100 or more employees, since a business with a team this size will likely employ at least 11 other people. Large and medium-sized businesses make up only .03% of American employers. The average team using customer service software gets 2,320 incoming tickets each month when you remove outliers. Just as interesting as who uses the software, is what software they actually use. Which customer service software are you currently using? 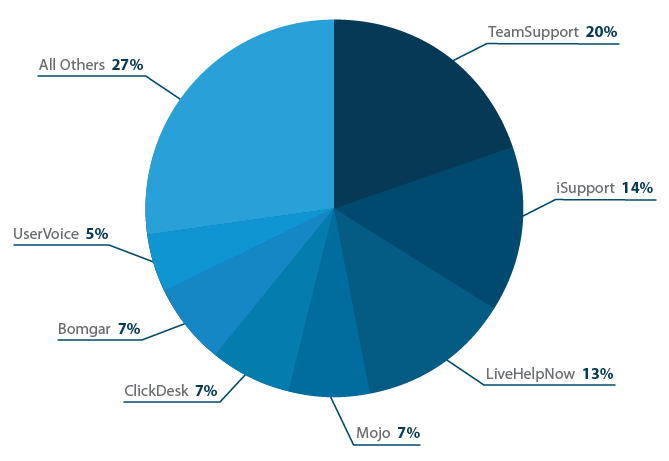 TeamSupport, iSupport, and LiveHelpNow were the most popular customer service software products amongst our respondents. The players are the same as Capterra's independent rankings of the most popular help desk software products, based on number of users, awards, social media presence, and reviews. However their order is slightly different. Is your software web-based on premise? The majority (almost two thirds) of respondents use cloud-based software. This mirrors the overall trend of business software moving to the cloud. According to a recent post by Fonolo, 62% of organizations were using cloud-based contact center solutions in 2013. DMG Consulting predicts this number to grow by 25% in 2015. For this reason, Capterra described the move to the cloud as one of the top three customer service software trends for 2015. The data from our respondents seems to indicate these predictions are a little off, however, as, percentage-wise, not much change seems to have happened since 2013. That said, it's still clear the industry-wide trend is towards cloud-based help desk software. The vast majority of major players and new entrants to the customer service software field are either cloud-based or at least offer a SaaS version. For instance, looking at the top five most popular help desk software products as ranked by Capterra: Zendesk, Kayako, UserVoice, Freshdesk, and Bomgar, only one, Bomgar, is self-hosted. The benefits to outsourcing hosting of customer service and IT help desks include avoiding the considerable expense of servers, mirrors, databases, patching, and compliance. In addition, hosting data yourself doesn't necessarily make it any more secure. User error is still your biggest threat. Expect the 62% of cloud-hosted software users to grow. We asked respondents to indicate whether they have, use, or wish they had several popular customer service software features. Most buyers (68%) said their customer service software had live chat functionality. Oddly, only 40% use it. Most customers dislike the phone tree and endless holds, and more and more are reaching out via digital channels, and are more and more reaching out via digital channels, such as live chat, for help. Anticipating this shift, Facebook's latest Messenger app has features aimed at making it a useful tool for customer service live chat. A little more than a third of buyers' software offers reassignable tickets, and nearly everyone who has this feature uses it. Surprisingly, nearly a third don't know whether they can reassign tickets in their customer support software. Nearly half of buyers' software allows agents to customize tickets. A little over a third use the feature. 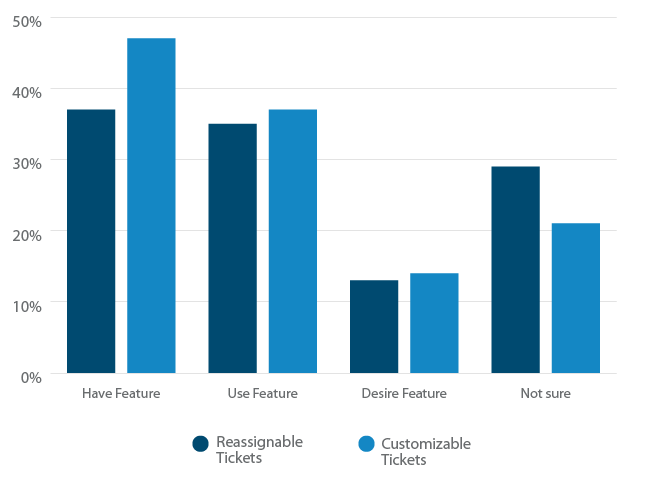 Tickets are automatically assigned for nearly half of respondents. 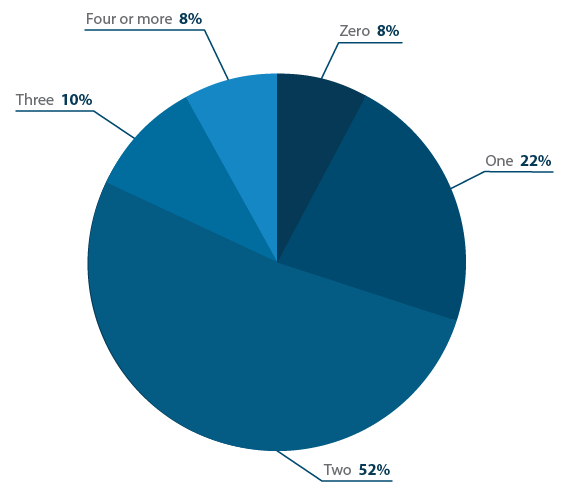 Not surprisingly, a clear majority of respondents have and use email integration. Social media integration was another area in which the number of respondents who have (39%) and use (25%) the feature almost equaled the number who weren't sure (29%). The top three solutions among our respondents are TeamSupport, iSupport, and LiveHelpNow, and all offer social media integration out of the box. Zendesk, UserVoice, and Freshdesk, among the top five products according to earlier Capterra research, are also social-media ready by default. Social media customer service is among the top three customer service software trends for 2015. Customers asked 85% more questions on brand pages on Facebook in 2014 than 2013, and even more on Twitter, according to Socialbreakers. Responding to customer service requests over social media is associated with 20% to 40% more customer spend, according to Bain and Company. It isn't just that customers are making requests on social media channels. The public nature of social media makes the ramifications of ignoring them considerable. It'll be interesting to see how quickly customers start making requests on Facebook Messenger. Only half of respondents have a knowledge base and less than a third have community forums through their help desk software. However, more than a third don't know whether they have access to forum capability. Mobile support is very important to consumers. In October and December of 2014, 47% of online retail traffic stemmed from smartphones and tablets, according to Demandware. The vast majority, 70%, of customers use their phones for their customer service requests. According their research, JackThreads customers who engage with representatives via live chat functions spend 80% more each year than those who don't. This statistic serves as a motivator for businesses to improve their online and mobile communication skills to foster brand loyalty and repeat purchases. And yet, Only 38% of respondents have and use software that offers mobile support. A fifth wish they had it.Tweet Thisonly 38% of respondents in our customer service software study have and use software that offers mobile support. A fifth wish they had the feature, and 22% are unsure whether they have it. 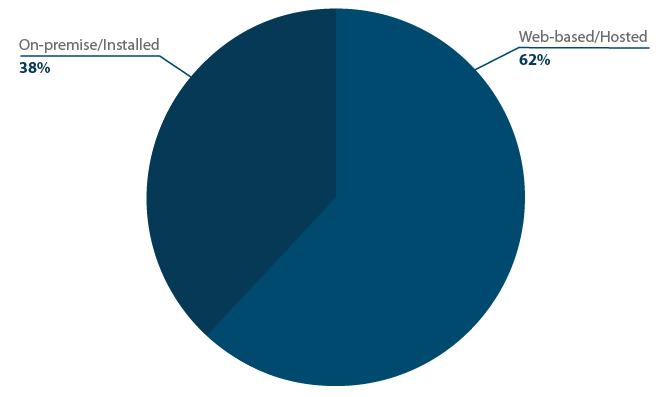 A little over half of respondents' software has service desk (ITIL/ITSM) functionality. And the same proportion have billing and invoicing. Only 41% use it and 15% wish they had it. Contract/SLA management was available to 36% of respondents, with 30% using it. A full 34% were unsure. Help desk software buyers appear to be less price sensitive than other software buyers, listing price as only the third most important consideration when buying software, behind both ease of use and functionality. They also seem fine with bucking the trend in their software choices, choosing ease of use over reputation or popularity. We asked what impact customer service software had on key performance outcomes. Which aspects of customer service were significantly impacted by the software? The impact on customer satisfaction was profound, with only 14% listing that it had no impact. The rest said it had a slight impact (38%), or large impact (48%). Software also has a big impact on ticket resolution time, agent productivity and agent job satisfaction. More buyers said their software had a slight impact (46%) than a large impact (41%) on customer retention. Agents may not be using software to its full potential. Particularly for tracking. Since quality customer service can make the difference between a one-time customer and a loyal one, it's important to know where to focus support to improve retention rates. 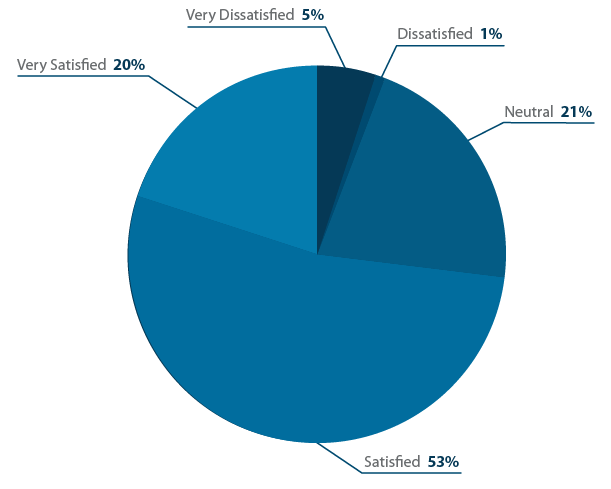 How satisfied are you with your current customer service software? Most buyers are satisfied with their current customer service software, with fully 73% reporting they were satisfied or very satisfied with their solution. 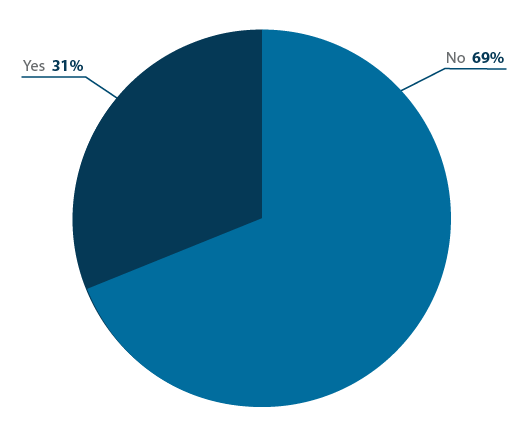 Only 6% reported any level of dissatisfaction with their help desk software.Tweet ThisOnly 6% reported any level of dissatisfaction, which is surprisingly low given results in other software verticals. This may be a direct result of the large number of help desk software users who demoed more than two options before making a selection. Better-educated buyers tend to select better-fitting software. What is also surprising is the significant level of apathy among users of help desk software, with 21% of respondents saying they feel "neutral" about their system. This indicates an opportunity to improve customer excitement and engagement for software vendors, and a warning to buyers not to settle for a "good enough" system. When asked why they were unsatisfied, the clear winner was that their current customer service software lacked certain features. Again this shows a focus among help desk software users on functionality over price or even support. Capterra's help desk research shows that help desk software has a big impact on ticket resolution time, agent productivity, and agent job satisfaction. While most buyers who are unsatisfied with their current software cited a lack of certain features as the primary reason, above price and support, they also have access to, but fail to use, extensive features like live chat functionality. 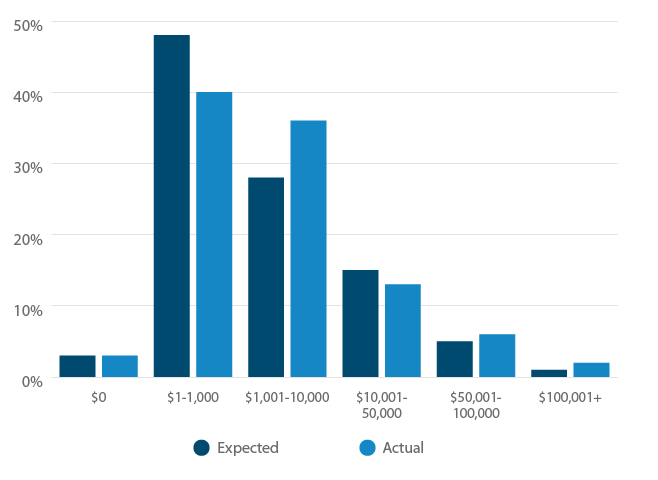 When buying customer service software you would be well-served to do at least two demos, and tack on about $1,200 more to your expected annual costs. 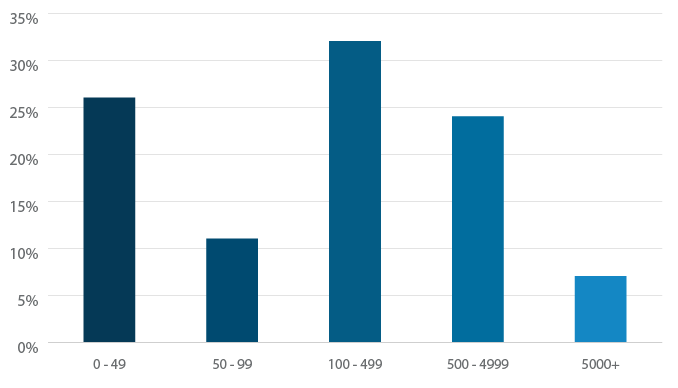 Capterra collected the data in this help desk software report through a 23-question survey to help desk buyers and users online, conducted over the course of four weeks and receiving a total of 100 qualified responses.